Flemington Irish Music Sessions on Sunday, December 13, and Sunday, December 27, from 1-4 p.m.
Last year, in an act notable for both its timeliness and desperation, I released "The Twelve Days of Christmas" at, like, 11:59 p.m. on the twelfth day of Christmas. If you blinked, you missed it: Being a bit half-baked, it was yanked from the market faster than a batch of Chipotle sushi. To anyone who actually managed to downloaded it last year: You now have the Inverted Jenny of the Patrick Clifford oeuvre, easily enough to blackmail me as soon as I own anything worth extorting. The rest of you can click here to download the refurbished edition, from now through January 5 (yes, the twelfth day of Christmas). It's F-R-E-E, free, but as always your kind support is welcome; otherwise I'll have to sell the coal that I'm sure to find in my stocking later in the month. It being my one and only show during this year's monthlong Santa-thon, we'll have to squeeze in an Irish-flavored carol or three, naturally. Beyond that, I was thinking we'd split the show in half, devoting an hour each to Joy of Living, a new tribute to the songwriting of Ewan MacColl, and Celtic Colours 2015, an annual Cape Breton music festival. Joining me for the latter segment will be Jim Clare, whom you may know as a bodhran player and singer at Irish music sessions in the WDVR listening area. Jim has attended the Celtic Colours festival for many years now, and is always kind enough to bring back a trove of new music, paraphernalia, and inside dope to your humble correspondent. This is going to be yet another show that's going to drive me nuts trying to whittle a mountain of outrageously great material down to a mere two hours. Well, I am very pleased to report that I'm already starting to take bookings for March 2016. Probably a good time to remind you that if your pub, company, house party, parade, church, library, whatever, needs an Irish band of any size, for practically any budget, you've found your man (or, if you prefer, yer man). Contact me; we'll talk. 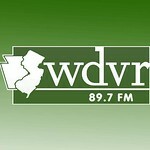 WDVR's "Evening of Music and Christmas Delights," at 7:30pm on Friday, December 11. I don't know whether they've booked me as music or a delight, but I do know that my slot is is the evening's opener, so try not to be fashionably late for this one. Accompanying me on fiddle will be Wolf Hul, whom you surely know from his work at the Frenchtown/Flemington seisiun, as well as with his band, Na'Bodach. Musicians: Read this and bring your instrument! Everyone else: Just Bring It! But it's come to my attention that, certain months, certain people are "too busy" to read my "unhinged rantings" about my "music" and other "interesting" stuff. Apparently. Now, I'm not going to tell these people their business. But, problem is, many of these are the same ones who end up telling me that they forgot to listen to Celtic Sunday Brunch, or forgot which Sunday to show up for the Flemington Irish Music Session. But I bring hope. Did you know that you can edit your email preferences to receive mini-updates whenever I post anything to this blog, including notices of all radio shows and sessions, a few days in advance? Just open your email copy of any edition of An Nuacht, scroll to the footer, and click on "update subscription preferences." On the web page that opens, check the box labeled "In addition to the regular newsletter, please send Email notices of blog posts." You'll never miss a thing again. Or, you'll never have an excuse again, anyway. There, so now we're all caught up. Thanks to everyone who came out on Saturday evening, October 17, to the dress rehearsal for the upcoming seisiuns at Factory Fuel, in Flemington NJ. It was loads of fun (unavoidable, when you’ve got great people playing great music) and confirmed all of the wildest rumors that have been swirling around Factory Fuel-- specifically that the space is great; the staff friendly, helpful, and welcoming; and the coffees and baked goods sublime. And, in the meantime, the AOH Seisiun in Somerville is back, meeting on the Sunday before Thanksgiving from 3-7pm. Here's more about that. See you there, too! Image courtesy of Liz Roberts. And more thanks are in order, this time for everyone who called in to Celtic Sunday Brunch this past Sunday, to pledge support for WDVR-FM during the fall fundraising drive. Thanks to you, we raised $740 during the show, actually exceeding our two-hour goal by $90. Now, this Sunday, November 8— the second of only two fundraising shows— we need the support of the Silent Majority, those of you who also love this Irish Music stuff, but have not yet put a crowbar to the ol’ wallet. We say it all the time, but it’s true: WDVR’s funding is *completely* independent. We have no corporations or government agencies or federal programs quietly writing checks in the background; we are sustained entirely by individual donors and small-business underwriters. This means that ANY size gift really makes a dent! I love hearing that Celtic Sunday Brunch has become “appointment radio” for so many people in the area—and, thanks to the web, even throughout the U.S. and overseas. Whether you spend Sunday late mornings and early afternoons in the kitchen, or the car, or out in the bog cutting turf, if you’re a regular listener, consider the value of the 52 hours of Irish and Celtic music that will entertain, bedazzle, enchant, charm, energize, educate, and inspire you over the next six months… and then remember that it will only happen if listeners, like you, GIVE. You may recall, back in September, WDVR hosted a fundraising concert featuring performances by the station’s own DJs. It turned out to be such a barnburner that we’re doing it again, this time combining the DJs concert with WDVR’s staff Holiday Party. In September, I was the Sound Guy; in December I’ll also be performing a few songs off Lo, Above the Earth, my work-in-progress Christmas album— but with a band: drum kit, bass, and electric guitar. This is my first rock-band arrangement in eons; should be mad craic altogether. Admission to the event is just $12, which includes appetizers and refreshments, singalongs, and all kinds of elvish (and possibly Elvis) fun. That’s Friday, December 11, from 7:30-10:00pm. On a more somber note, I can’t quite believe it’s been over a month already since my old friend, and Four to the Bar fiddler, Keith O’Neill passed away, far too young. A testament to his renown and humanity, Keith’s wake was a virtual parade of some, perhaps most, of New York’s most influential and talented Irish musicians, and his funeral the following morning was filled to overflowing. 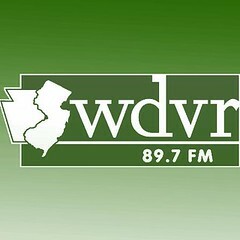 Celtic Sunday Brunch is a two-hour radio program that broadcasts every Sunday from 11am to 1pm US ET, on the air at 89.7 FM and streaming live at wdvrfm.org. PS: I keep Facebook and Twitter open while I'm on the air; feel free to send thoughts and requests! I hope you had a great summer. I certainly did; as you may have guessed by my absence, I have been taking things relatively easy on the musical side of things. Perhaps too easy, as I now find myself with way too much news to pack into this little email package. 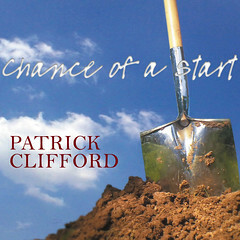 With all due respect to all of the wonderful venues that have ever hosted the Patrick Clifford Dog and Pony Musical Extravaganza(tm), and all of the talented and beloved partners-in-crime who have ever shared the stage with me, I have to say that I'm more fired up about this event than any in recent memory. See-- did I mention?-- I used to be in a band, and the band was very popular in New York, but then the band broke up, and the singer moved back to Ireland. But then the singer said he was coming back for a visit, and we thought it would be mighty craic altogether to make some noise for the first time in almost 20 years. So that's what we're going to do. Helping us out will be the always wow-just-wow Paul Morrissett on fiddle. No rehearsals, no safety harness, no seven-second delay... and no way you're making it to work on Monday. In other Four to the Bar news, both albums are now streaming on YouTube. Have a listen, if you haven't yet. In other performance news, THIS SATURDAY, October 19, I'll also be part of the Kerry Hills' Halfway to St. Patrick's Day festivities. Joining me will be Marty Guilfoyle, who is fully licensed to drive the single biggest accordion I've ever seen. The true believers are hard at work trying to find a new home (or homes) for our west/central New Jersey, Sunday afternoon session. Hopefully, by the next time you hear from me we'll have nailed things down a bit more. Meanwhile, the group has found one strong contender in Patriots Crossing Tavern (1339 River Road, Titusville, NJ 08560, 10 min south of Lambertville at the Washington Crossing Bridge), We'll be meeting there THIS SUNDAY, September 20, from 1pm to 4pm. Looking forward to the old (tunes) and the new (room); come on out to join in or just listen. You may have guessed that I'm not the only WDVR host who is also a musician. However, you may not have guessed just how many DJs can in fact make music without the aid of a CD player. Finally, what newsletter would be complete without a few sets of Celtic Sunday Brunch to download? Here's my latest show, from September 6. It's been so long since I last wrote, it seems silly to start by saying that I have to keep this one short. But I do. See, I find myself in yet another time-pinch, and yet this newsletter simply must go out today. Why? Last Verse of "The River Blue Blues"
Do not come to the Frenchtown Irish Music Session scheduled for this Sunday, June 28. It has been cancelled. In fact, our beloved River Blue Cafe has rolled up operations altogether, so our sessions are suspended indefinitely, until we find a new home. Suggestions? Reply to this email or use my Contact page. Striking a more jovial chord, it was recently noted over at Four to the Bar HQ that two significant anniversaries occurred within a week of each other. June 16 was the twenty-first anniversary of the night that Craic on the Road was recorded. Then, the following Tuesday, June 23, was the twentieth anniversary of the release party for Another Son. For anyone who's in the area of New Brunswick NJ this independence Day weekend, be sure to drop by Stage Left Restaurant, where I'll be performing-- weather permitting, out on the sidewalk patio-- during their annual cookout. I've done this gig for a number of years running; it's got this mellow, urbane vibe, and I always look forward to it. Plus, I get to dust off my Americana songbook and unapologetically do material by Johnny Cash, Steve Earle, Gillian Welch, Springsteen, Dylan, and more. You'll love it; come join us. Saturday, March 14: Private Party. If you can join me and my merry band for any of these events, please come up and say hi. If not, have a fun and safe St. Patrick's Week, and I'll see you on the other side! A musical meetup on the second and fourth Sundays of every month. 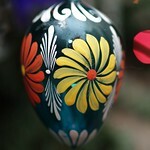 For a change, enjoy a little BYOB brunch and sunshine with your regularly scheduled dose of Irish music. Great craic, lots of fun and talented musicians. Bring your instrument, your party piece-- and, by all means, the kids! 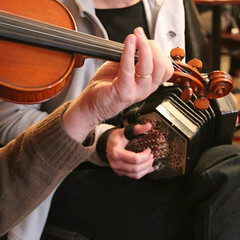 Frenchtown Irish Music Sessions, at 1-4pm, on the second and fourth Sundays of each month, at the River Blue Cafe in Frenchtown NJ (next two: February 22, March 8). Hosting Celtic Sunday Brunch, at 11am-1pm, on the first Sunday of every month, at WDVRfm.org (89.7 FM) (next two: March 1, April 5). Remind Me Again Why I Paid Extra for “Violin” Lessons? Not that they're ever unpleasant, but I have to say that my February episode of WDVR's Celtic Sunday Brunch turned out to be especially enjoyable, both to prepare and present. Thanks to Mary for spurring me to action with a reminder about the anniversaries of Luke Kelly and Buddy Holly. My next shows: March 1 and April 5. As you know by now, I try not to overdo it with these emails, but the weeks leading up to March 17 are when it all happens for a guy like me, so I hope you'll forgive an extra email or two between now and St. Patrick's Day, especially if anything changes-- say, you contact me to perform at your pub, function, party, house concert, whatever. Speaking of Chance of a Start, while I know that everyone already owns a copy-- oh, right; all except one person (pssst, that's you)-- for what it's worth I thought I'd mention that I still have the last copies of the Collectors’ Editions of both CDs. Each has an extra track, is numbered and signed, and when they’re gone, they’re gone (that’s why they’re collectible). From March 12 to March 17, the first 5 people to buy either album at any performance will get the Collectors’ Edition for the price of the standard edition. Step right up, no shoving, please.